Azim had been waiting in Serbia for nine months to enter Hungary and submit his asylum application. By the time he reached the metal revolving door at the Serbian-Hungarian border he had left Afghanistan over two years ago but had known for twenty years that at some point he would need to leave his home. In Serbia he had been waiting in various open camps and the shock of entering the Hungarian transit zone surrounded by barbed wire, cameras and police made the joyous moment of finally reaching Europe somewhat less cathartic. In the same way he feared his family discovering his secret, he was afraid of his fellow countrymen in the Röszke transit detention facility. 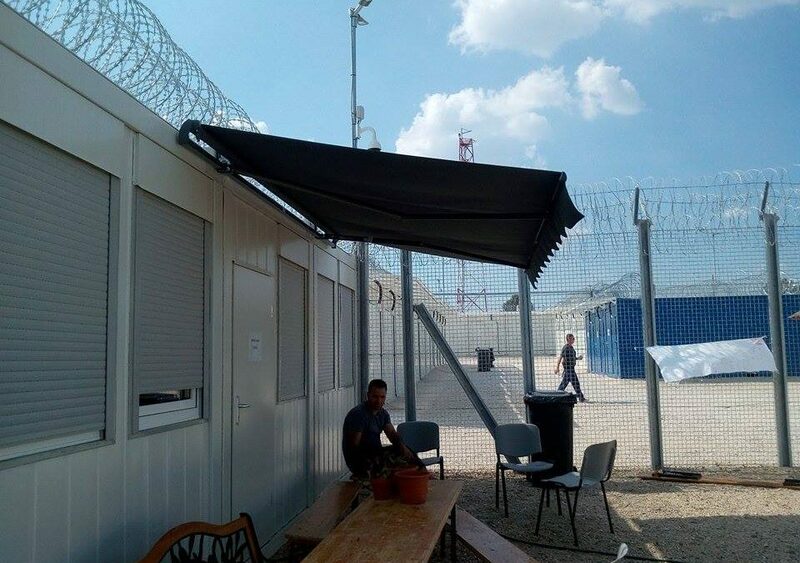 On his first asylum interview he asked for an interpreter who was not from Afghanistan, but the Hungarian asylum office could not fulfil his request. Nevertheless, he decided this was the moment to share his secret. In the privacy of the metal container that made up the transit zone, and in front of the Hungarian asylum officer, his attorney, the interpreter and a police officer who kept moving in and out of the interview, he came out. The circumstances were not ideal, but this was his chance. Azim described the situation with his family in Afghanistan and the attack he had suffered in Kabul when he had met a man in a park, whom he thought had been his date, but turned out to be his attacker. The scars from that park meeting are still visible on his body. Azim asked the asylum officer to place him separately from the other men in the transit zone because he was afraid of being attacked again. His request, however, was rejected just like the previous one. This story took place at the end of 2017 in Hungary, a member state of the European Union which allowed only 3397 asylum applications to be submitted in 2017. Despite this very low number, the discourse and the governmental rhetoric surrounding the issue of migration and asylum resembles warfare. The Hungarian population – through expensive state-sponsored media campaigns – has been made to believe that migrants are the enemies of the nation, coming in large numbers and changing the lives of Hungarians with their presence. In reality though, most Hungarians have never met a migrant and by now there are less than one hundred asylum-seekers in Hungary. The government not only funded campaigns instilling fear and hatred in Hungarians against migrants, but also made legislative and policy changes leading to the dismantling of the once functioning Hungarian asylum system. This wilful destruction affects vulnerable asylum-seekers like Azim particularly harshly. By the end of 2016 the asylum infrastructure consisting of open and closed facilities offering reception conditions adequate to the different needs of the asylum-seekers disappeared. In 2017 94% of all asylum-seekers were detained in one of the transit zones in Hungary without any protocol in place to assess their vulnerability and address the possible safety and security concerns that, for example, a gay man or a single woman could have. Despite the fact that vulnerable asylum-seekers like women and LGBTI people are now detained during the entire asylum procedure in Hungary, there are no specific services that take their special needs into consideration. As an asylum-seeker was told when he voiced his complaint in one of the transit zones, “You must be silent in this camp”. Staff members working in the transit zones are not equipped to identify and care for vulnerable asylum-seekers, such as women who are torture or trauma survivors, or LGBTI asylum-seekers. Therefore when an issue arises, such as providing a safe environment for a gay asylum-seeker within the transit zone, there is no standard approach, only an ad hoc solution that largely depends on the staff member in charge at the time when the problem occurs. Azim was lucky. Although he could not be provided with a safe space within the transit zone but realizing the risks he faced while detained there, the asylum office decided his case on a priority basis. He received protection within a few weeks and was able to leave the transit zone and go to an open camp for 30 days where he was provided with accommodation and daily meals. We know this story, because Azim was our client. This 30-day period is the only integration assistance that the Hungarian government provides to those who have been granted international protection in Hungary since June 2016. Beyond this month, refugees and beneficiaries of subsidiary protection can only rely on the services of non-state actors, NGOs and church-based organizations. Until 1 July 2018 the services provided were rich and wide-ranging, assisting integration in many ways from housing, labour market integration assistance, through Hungarian language classes to sewing and yoga classes. However in January 2018 the Hungarian government withdrew its call for proposals for the next funding cycle under the EU Asylum Migration Integration Fund, which was the main source of funding for these very much needed services. The current funding cycle ended on 30 June, thus from now on, beneficiaries of international protection will most likely face destitution and homelessness in Hungary. While the state is unwilling to cater for asylum-seekers and provide integration assistance to refugees, NGOs who are willing and capable to undertake these tasks are threatened with criminalization for their assistance as of 1 July 2018. The circle of destruction is complete. For Azim and his fellow asylum-seekers and beneficiaries of international protection there is no safety net of support left in Hungary.